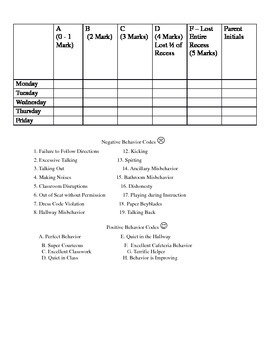 These conduct sheets can be used successfully with any in class classroom management program. 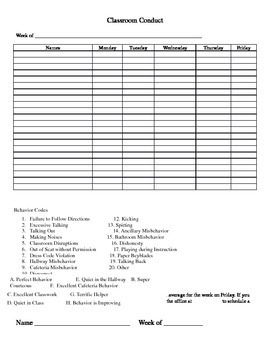 This package includes a sheet for the teacher to keep track of individual students behavior for the week as well as a sheet to send home with the students daily that requires initials from a parent. These sheets can even be used if your school has departmentalized subjects. These sheets are a word document so it is completely customizable to the needs of your class.